CVS Pharmacy Gives Woman Wrong Medication Twice | Kennedy Hodges L.L.P. When a person has a prescription filled at a pharmacy, all too often we rely on the pharmacy staff to ensure that we are taking exactly what our doctor intended. Unfortunately, however, mistakes can and do occur. When they do, the harm can be devastating. A Texas woman recently discovered that the CVS pharmacy where she fills her prescriptions made a medication error, not just once, but twice in the past year. The victim in the matter was Wendy Flory, who lives in Fort Bend County, Texas. Ms. Flory says she picked up a prescription from a CVS pharmacy located on Crabb River Road near Sugar Land, Texas. The prescription was picked up in early December. The intended prescription was a small pill used to treat an ongoing thyroid condition. When she opened the bottle, Ms. Flory felt something was off based on the appearance of the pill. Instead of the small pill she was expecting, she found a larger yellow pill with the letters “TVA19” on it. After conducting an Internet search, Ms. Flory discovered that the letters generally indicate that the pills contained progesterone. Unfortunately, this was not the first time that she had been given the wrong medication by this pharmacy. Ms. Flory alleges that earlier in 2015, she filled a prescription at the CVS. 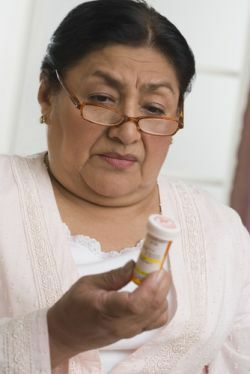 Upon arriving home, she discovered that the medication she received was not the medication she was prescribed. She notified officials at the CVS, who issued an apology and gave her a $25 gift card. Since this was the second time she had been given the wrong medication at the same pharmacy, Ms. Flory decided to take further action after this most recent incident. She complained to CVS’s corporate headquarters and also filed a complaint with the Texas State Board of Pharmacy. In response, a spokesperson for CVS states that they are “actively looking into” the case. No further response has been issued. Sadly, Ms. Flory does not appear to have been the only case of wrongdoing by this pharmacy. The state’s pharmacy board website has records of a 2010 Agreed Board Order in which the pharmacy was fined $3,000 for allowing a pharmacy technician to work with an expired license. In addition, the pharmacy was required to develop and implement policies to ensure that all of its employees are properly licensed. According to Ms. Flory, after going public about the incidents, she has received numerous messages from other individuals who also claim to have received either the wrong medication or the wrong dosage of a medication when dealing with the CVS pharmacy. These errors can have potentially harmful effects for people who unknowingly take the wrong medication or the wrong dose of a medication. As such, it is crucial for people to look closely at any medication that they receive and to always ask questions or raise concerns if there is any issue as to whether the medication they were dispensed is the proper drug and dosage. Learn the name of your medication from your doctor rather than just having him or her write a prescription and send it to the pharmacy. Ideally, this will help you catch an error if the name is different. Ask your doctor about how to use the medication. Keep the list of the medications that you take with you at all times and let your loved ones know about what you are taking. Inspect your medication closely before leaving the pharmacy. If the pill does not look like the pill you are used to taking, ask questions. Count the number of pills in the bottle to ensure that the proper number was dispensed. Check the dosage information to ensure that it matches the instructions and order that were issued by your doctor. Develop a relationship with your pharmacist. The more you get to know him or her, the less likely that a mistake may occur. Similarly, choose a pharmacy that is close to your home and that can be used year round.